In the future, robots will do literally everything for us (if we have anything to say about it). So why not build our office buildings, apartment towers and single-family homes? 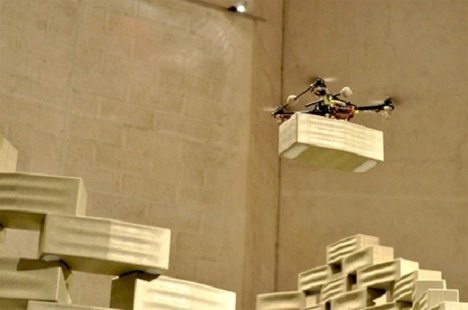 A small fleet of flying robots recently built a scale model of a building using Styrofoam bricks and a complex navigation system. Conceived by a team of architects, the Flight-Assembled Architecture project was an exercise in design and in technology. 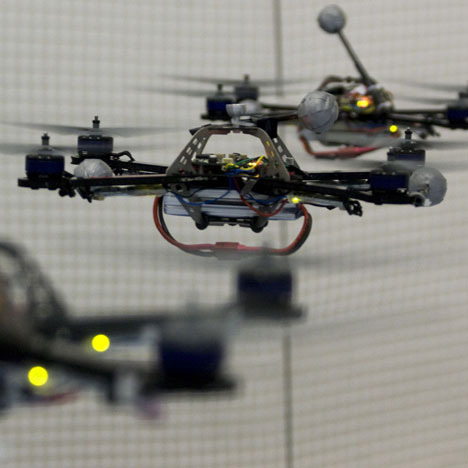 The small quadrocopters were programmed with the coordinates of the room they were in and the locations of the bricks they were expected to put into place. Then, without any further intervention, the ‘bots built a six-meter-high structure one brick at a time. 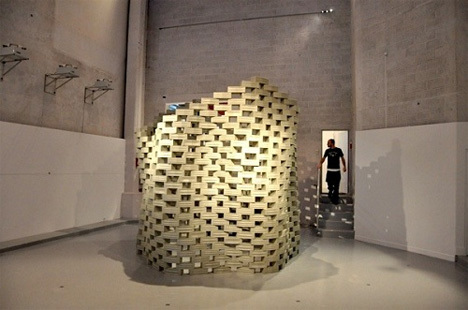 The tiny team of robots built their unusual structure at the FRAC Center in Paris before an amused crowd in December 2011. When the robots’ batteries ran low, they had only to fly over to one of the several wall-mounted charging stations to power up. The structure is meant to be a 1:100 scale model of a conceptual vertical village. In the full-size structure, each “brick” would be one apartment. All told, the super-structure would house around 30,000 people. 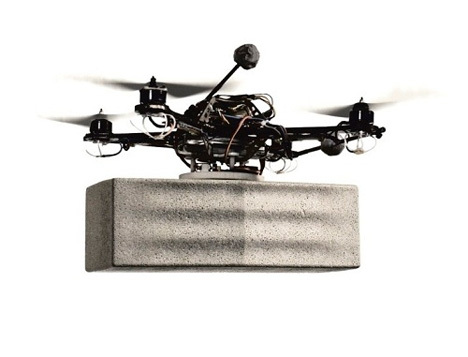 If this type of technology can be adapted for use in real-life situations, prefabricated homes and other buildings could be simply airlifted into place with the use of “smart” robots.